Some of our best features aren't readily apparent, but you'll appreciate the benefits over a long period of time. Powder-Coat Finish - Smooth, Shiny, Scratch-Resistant, Beautiful. 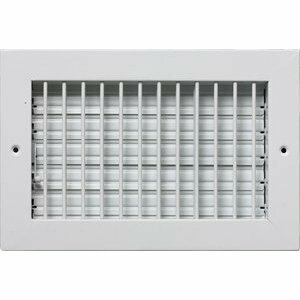 Total outer size of this grille is; listed size +1.875" at the width, and + 2" at the height. If you have any questions about this product by Metal-Fab/Air-Craft, contact us by completing and submitting the form below. If you are looking for a specif part number, please include it with your message.